A lot of games have been jumping onto the tabletop-flavoured train recently. However, Hand of Fate 2 remains one of the more recognisable of the pack despite the passage of time. Defiant Development, the Australian studio behind the game, introduced the world to its blend of action RPG and dice-reliant shenanigans a few years ago with the first Hand of Fate. Now, it looks like the second time’s the charm – Hand of Fate 2 pulls from a variety of genres into a devilishly wonderful tale. 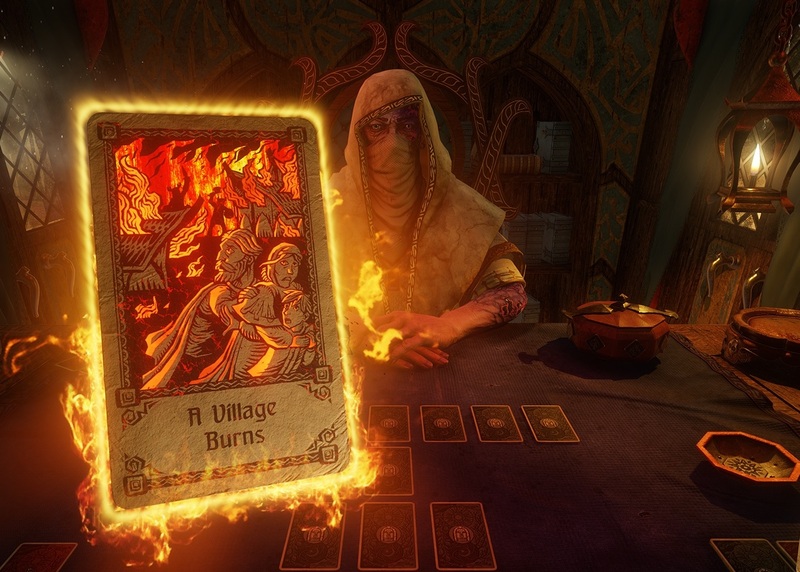 Hand of Fate 2 deals you a varied hand, and I mean that quite literally. You start the game in a carriage with an enigmatic figure, not too unlike how Animal Crossing titles begin. However, it diverges from Nintendo’s family-friendly classic when it launches you into an explosion of exposition that involves brawling, in the vein of the recent Batman titles. The initial premise is simple – you’re an amnesiac who’s forgotten how you ended up in an enclosed space with a scarred, possibly supernatural being. The game’s narrative is just like a Build A Bear; you get a say in what goes into the story as you explain it to a veritable stranger. 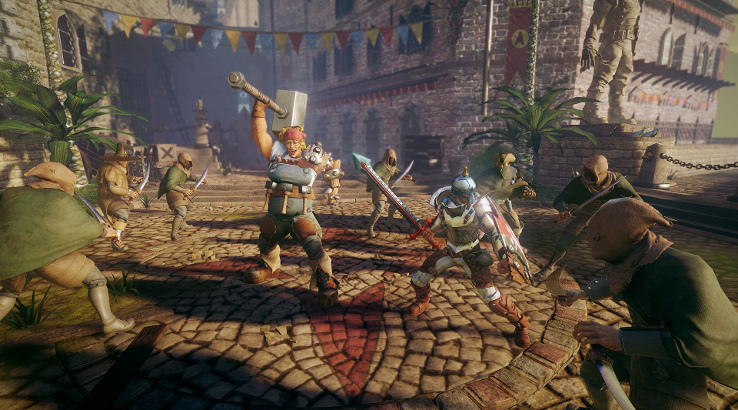 That sounds like something you’ve heard before, but where Hand of Fate 2 innovates is in the twists and turns that it subjects you to as you traverse your own history. You start off being dealt various cards by the aptly named Dealer, each signifying an event in your life that you’ve experienced. As you move from card to card, a picture slowly begins to unfold of your deeds and misdeeds. Along the way, you’ll make certain choices that have far-reaching effects and that paint a picture of your character’s personality. Each choice can branch into many other choices down the path, and it can lead to anything from death to food. However, once you recall a life-changing moment and relive it with the Dealer, you’ll move on to the next stage of your journey. This is the one issue that Hand of Fate 2 comes up against quite quickly. It allows you to build an incredibly immersive world of your own meaning, especially since it has an element of luck and random generation to it, but that fantasy is easily broken when you’re sitting at the table and cycling through events that you can’t revisit. Your paths through the game’s various little arcs are incredibly linear, and each boss fight feels final; you know there’s no real going back. The world is beautifully rendered when all of its elements come together to tell a story at the right pace, but if just one of the moving parts it out of place, it can feel shallowly manufactured. Luckily enough, the game doesn’t let up often enough for any real discomfort to be felt when the story grinds its gears. Hand of Fate 2 moves at an incredible clip which is incredibly reliant on the player’s comfort and adverseness to risk. An experienced player might well take the time to ensure that each option is explored to the fullest. However, they may have found success previously by caving in skulls and asking questions later. 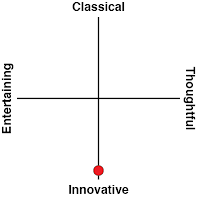 There’s not a single playstyle that’s superior above the rest, because they all result in the same end goal. Namely, it’s all about stacking your deck to give yourself an experience that’s engaging without mortally wounding you. 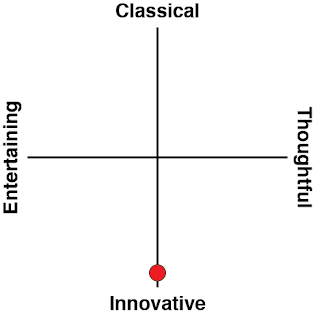 This balancing act is hard to follow, since the odds can feel stacked against the player character very early on. 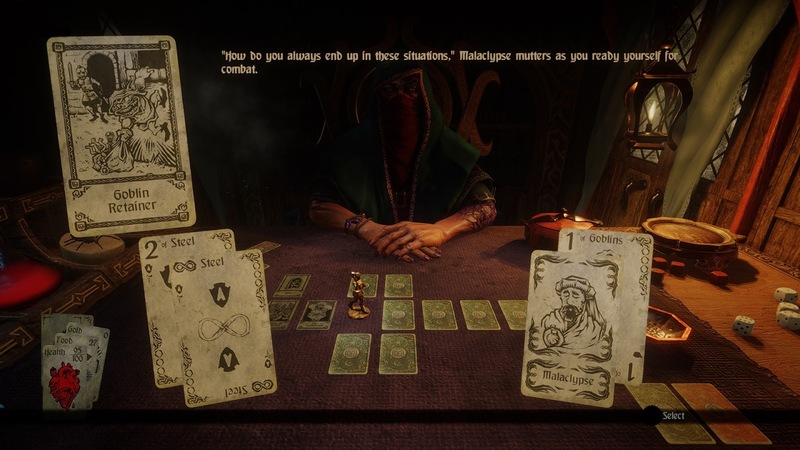 However, you don’t have to fret; Hand of Fate 2 deals you many opportunities to one-up the game on its own brand of trickery. Yes, the Dealer appears to be the character with all the control, but that’s not entirely accurate. Once you’ve had a spin on the merry go round of fate, you open up the ability to pick cards that the Dealer will shuffle into his deck for future arcs. That’s right – it’s not all luck, there’s also a certain degree of skill. You’re allowed to pick a number of encounters, allies, and weapons to add to the Dealer’s arsenal. These are technically a way to improve the odds of bumping into oddities that will benefit rather than harm you. Where the strategy comes into play, however, isn’t solely in picking non-confrontational cards so your adventure is smooth sailing. It’s important to strike a balance between combat situations (which often afford you riches and food if you win), encounters which progress your companion’s narratives at some cost to you, and equipment that you think will be useful against future foes. Avoiding conflict isn’t the winning strategy here; it’s making sure you have the right tools to manage conflict that sets victors apart from amateurs. It also helps that Hand of Fate 2 is beautiful. It runs perfectly in handheld mode without taxing the Switch past its limits. It’s not got graphics of the highest fidelity, but its incredibly stylised aesthetics are eye-catching nonetheless. Characters all have incredibly distinct physical features despite your inability to see every pore on someone’s skin, and their gestures are imbued with distinct personalities that make them instantly recognisable. In a game about learning patterns of behaviour and gambling on your instincts, it’s nice to see that the developers have found a way to make crucial information stand out without it feeling like a spoon-feeding. Hand of Fate 2 will be most rewarding to those who like a lot of risk with their reward. It’s also a game for those who want to stray off the beaten path when it comes to the idea of role-playing. Yes, it’s not technically like any role-playing game that you’ll approach – it embraces the idea of a fallible self-narrator, and leans heavily into well-established fantasy clichés and tropes without somehow growing tiresome. The magic here is in the game’s ability to pull disparate elements like brawling, dice-based luck, and deck-building together to form the bones of a player-guided narrative that unravels in complexity over a staggering amount of levels. No two people will likely have the same experience, and that’s an art in itself. Let the threads of fate take hold in this adventure; we promise you won’t want to pass up on this date with destiny.